It used to be that I’d run into the Chinese grocery specifically for the steamed rice cakes. I’d look for the saran wrapped packages, throw a couple in the cart and move on to the more desirable selection of Swiss chocolate rolls and candied walnuts. The steamed cakes were for my mother. In Cantonese they’re called Nian Gao, in Hakka they’re called Wun Ban. When I was little, my mom made Wun Ban at home. She’d use her Osterizer to pulverize rice and water, strain it and pulverize it again until the liquid was silky smooth. Sweetened with a bit of sugar, she’d steam the cakes in round pyrex bowls. When they finished cooking, they’d be pale unappetizing discs of solid beige jello. My mother was the only one who enjoyed this dessert. My brother and I certainly did not and my father never once tried it in all their years of marriage. How to describe the taste? It was made of rice and it tasted like rice. With a sharp paring knife she’d cut a slice, spear it with the tip and delicately bite off small portions. She’d chew it slowly and savor the soft gumminess, the mellow, understated flavor of rice. Eating Wun Ban was a quiet activity. Talking interrupted the flavor or maybe, the memories that the flavor conjured. My mother said that her father made Wun Ban to sell in his Auntie’s shop. He’d fry green onions to a golden brown and sprinkle them on the batter before steaming. He’d score the cooked cakes into half inch strips and cut them into rectangular portions. As she spoke, I vaguely recalled a large netted box spread with sheets of pale steamed cakes, cooling in the shadow of my grandparents’ dining room. It sat on old wooden table covered with a red and white checkered oilcoth. I remember tearing a long, soft, stretchy rope of cake, holding it high above my head and nibbling up the length from one end. In Toronto I can buy Nian Gao in the Chinese supermarket. On my way to visit my mother, I’d stop and buy a couple packs for her. At least, I used to. The last time I was there, I automatically reached for the Nian Gao, my muscular memory forgetting that she had passed away. I bought it just the same. That night, I cut a slice and silently chewed on the slightly sweet, almost nutty, starchy graininess of rice. The torch light flared across the bridge towards Angkor Wat. Puddles of water from yesterday’s rain filled the wide spaces between the flagstones. It was five am and pitch black. We were walking in the middle of the Cambodian jungle but an eerie quiet surrounded us. Our photo tour guide Nathan, hurried ahead, his flash light quickly disappearing. It was another hour before sunrise but we had to position ourselves before the hordes arrived. Moths flickered to the torch, smacking into the glass face with frantic taps. Waving the insects aside and spitting out the papery taste of bug wings, I pointed the light to the ground. I placed my camera on the tripod, focused on a vast blank sky and waited for the sun. The trip to Angkor started with a chance visit to Nathan’s website. Spectacular images of Buddhist monks against glorious Khmer ruins captured my imagination. 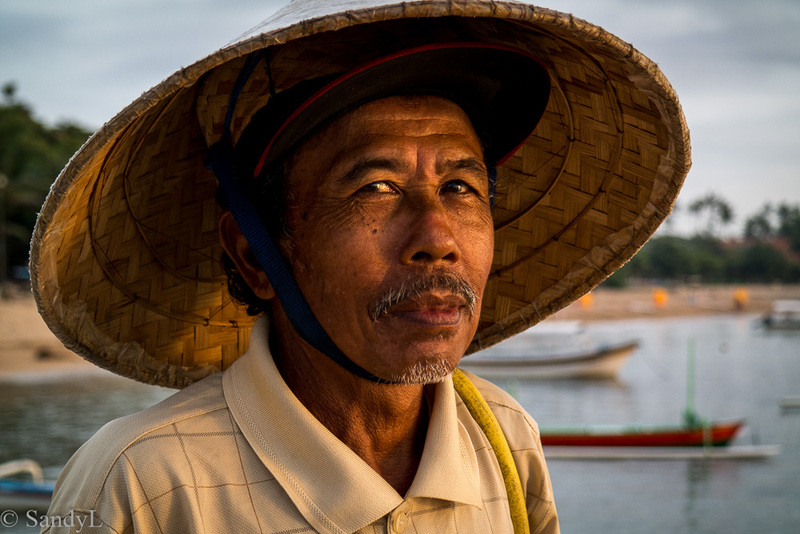 Nathan offered travel photography tours to Cambodia, Indonesia, Myanmar and Nepal. He researched the best locations for photo shoots, provided technical coaching and taught the ethics of street photography. As I was to find out, the best travel photos were the ones enlivened by human content. However the hardest lesson to learn was how to engage with strangers. The secret to start, Nathan said, was to look them in the eye and smile. Nathan’s pictures inspired me to visit but they didn’t prepare for the scale and grandeur that was Angkor. 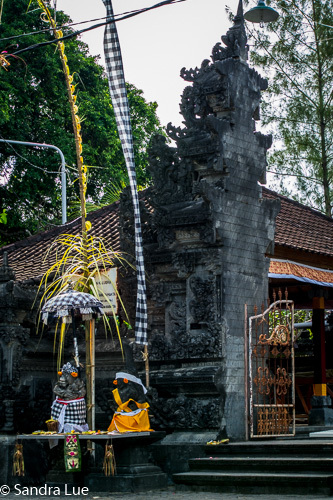 Altogether, there are over 70 temples covering 400 square kilometers. At its height in the 12th century Angkor was the center of the ancient Khmer empire which included Thailand and Vietnam. The city was a metropolis of a million people with a sophisticated culture of art, religion, urban planning and tactical warfare. A woman’s lilting voice floated through the lightening darkness. Her flashlight danced across the banks of the pool and against a growing press of people. In the twenty minutes since arriving hundreds of tourists had gathered behind us. Whispered words in French, German and English multiplied into a buzz of anticipation. Faint shadows of light rippled across the sky. As the first silhouette of Angkor Wat appeared, a murmur of collective awe rose from the crowd. Two million tourists visit Angkor every year. It was reclaimed from the jungle, divested of land mines and declared a UNESCO world heritage site in 1992. Although a tourist attraction, it is still a sacred venue for Cambodia’s active Buddhist community. Later in the morning Nathan arranged for a water blessing by a resident monk for good luck, long life and happiness. Over the next four days, I relied on that blessing as I clambered over narrow stone ledges and slippery, rain slicked rocks. Once, while crab walking down a steep and tumbled stair case I overheard Nathan cautioning a fellow shootist. I scanned the stone block where my hand rested and looked around the floor before planting my next step. Back in Angkor Wat the sun had broken through but heavy rain clouds loomed over the horizon. I packed away my camera and stared at the temple shimmering in the morning light. Outside of the narrow frame of the camera’s viewfinder the temple revealed itself in full glory. Its three tiered pyramid structure and lotus like towers rose from the ground like a massive temple-mountain. Despite the early hour, a steady line of people was already making its way across the moat. Two orange robed monks stood out against the sand colored stones. This picture of Angkor is one that has endured for a thousand years. A rising sun over a breaking new day. An ancient temple filled with reverent people. Devout monks ascending the steps to prayer. When I take photos I do so to capture a memory. Sometimes the image is the memory. Other times, it’s the details that emote the memory. Like crabgrass and concrete. When I was growing up every house had front yard lawns of crab grass edging concrete driveways . 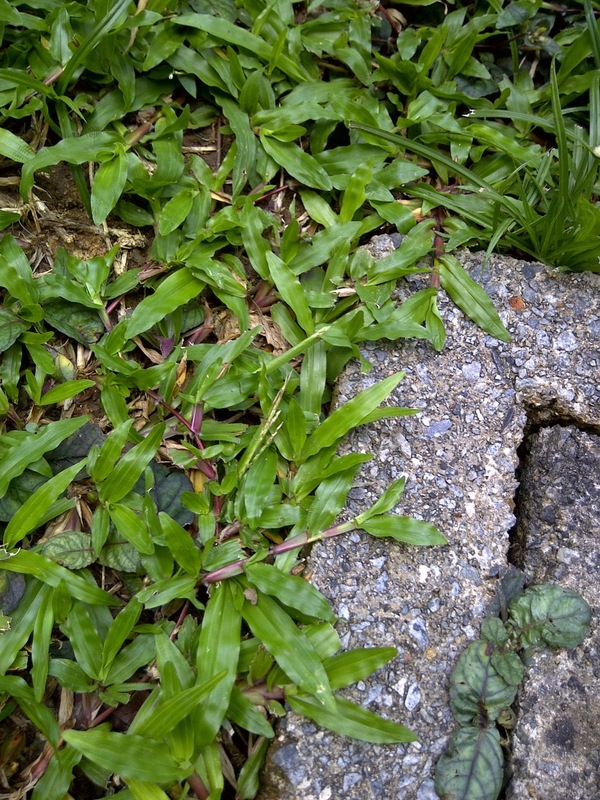 Crab grass is ground cover which survives the extremes of tropical climates. It is aggressively green when watered and tenaciously hardy with drought. There’s nothing remarkable about crab grass …except that it recalls the houses in which I grew up. It recalls birthday’s with party games of musical chairs and egg and spoon races. It remembers a giant red tricycle, plastic blue pedal car, Barbie dolls and tea sets. It replays the loud barking of guard dogs behind wrought iron gates and concrete posts. Concrete is pebbled and textured. Its gray is white with streaks of marble black and undertones of green and blue. It is smooth and warm and rough. It is in the foot bridge that takes me to my Aunty’s shop and the dank foundation of her outside kitchen. It’s the dark corners where spiders spin webs, lizards scurry up walls and hang from the ceiling. It’s on the ledges of windows whose glass louvers filter sunlight and funnel cool tropical breezes. It amplifies the splash of rain and shields torrential, driving rainstorms. It’s in the pebbled steps that take me to my mother’s backyard hill garden. It’s the platform from which I look out across the lowland houses towards a wayward Caribbean sea.